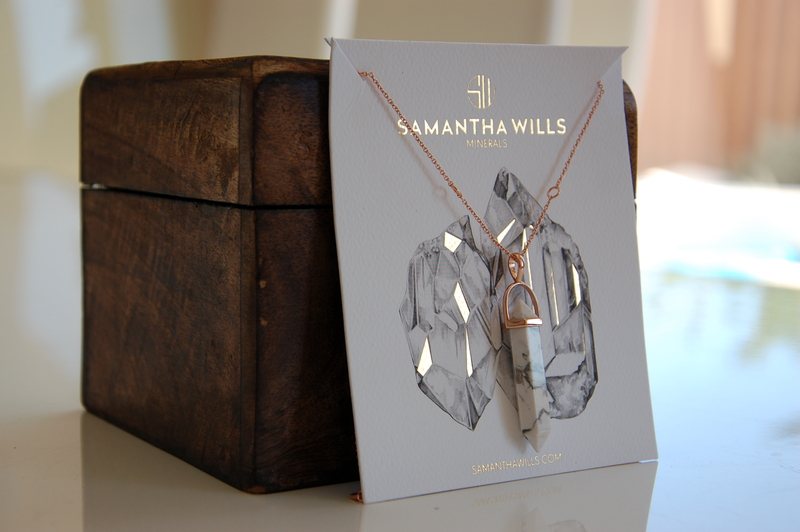 LAST week I celebrated my two-year anniversary with my lovely boyfriend and I was lucky enough to be spoiled with a Samantha Wills necklace! I’d been eying off this Australian designer’s collection for a while now and there are so many things I want from her collection! 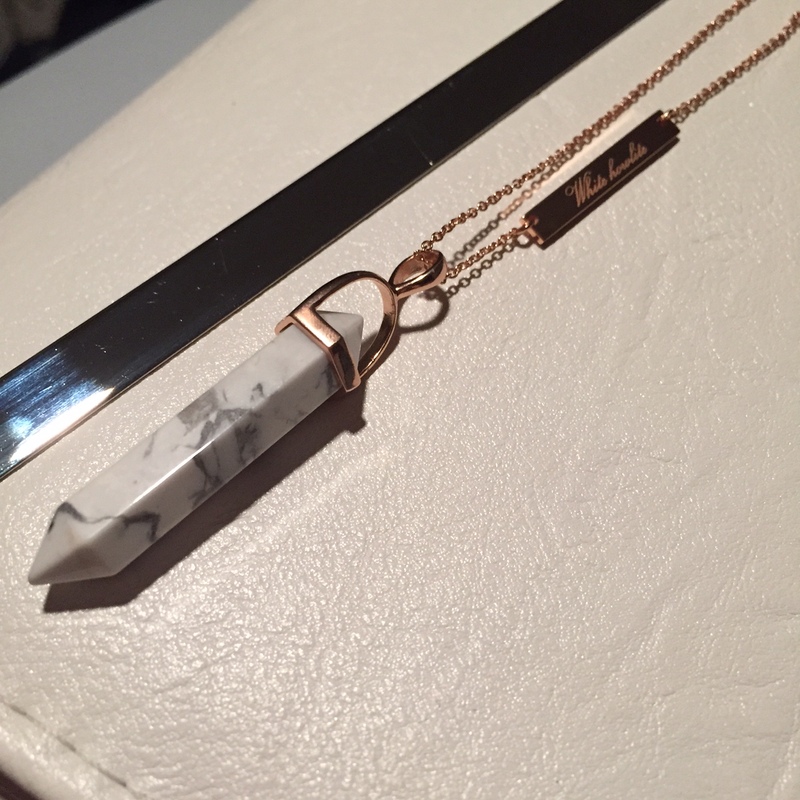 I chose the White Howlite necklace from the minerals collection – a pendant with a fine rose gold chain and a dainty name plate with the stone’s meaning: calming and stress relief. I don’t really believe in minerals having real-world applications but it’s still really beautiful. The rose gold wouldn’t usually have been my first choice as I mostly wear silver but the only necklace in the collection with a silver chain had a black onyx stone that I felt just didn’t suit me. But I really like how it looks against a whole range of colours, especially black. The chain has two extra rings on it to allow you to wear it shorter if you like – I’ve been wearing it at its longest length. It came in a beautiful wooden box with flowers stencilled into the top – something I’ll definitely keep on display. I love these shorts so much! They’re quite fitted at the waist and although I’m always paranoid about spilling something whenever I wear white, the tropical print is fun and I think they’ll feature heavily in the rest of my summer wardrobe. 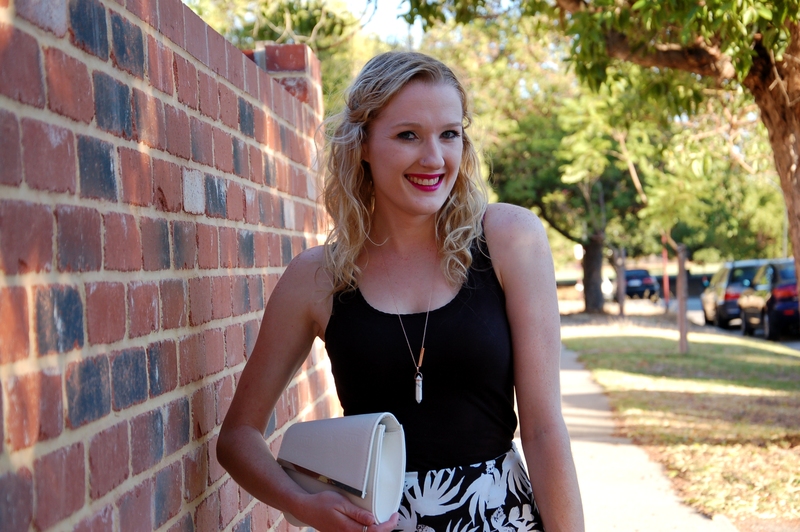 We took these photos before going out for Mexican at my favourite restaurant – he’s always so patient when taking outfit photos! I really couldn’t ask for a better boyfriend and we’ve got so many adventures planned for the future. 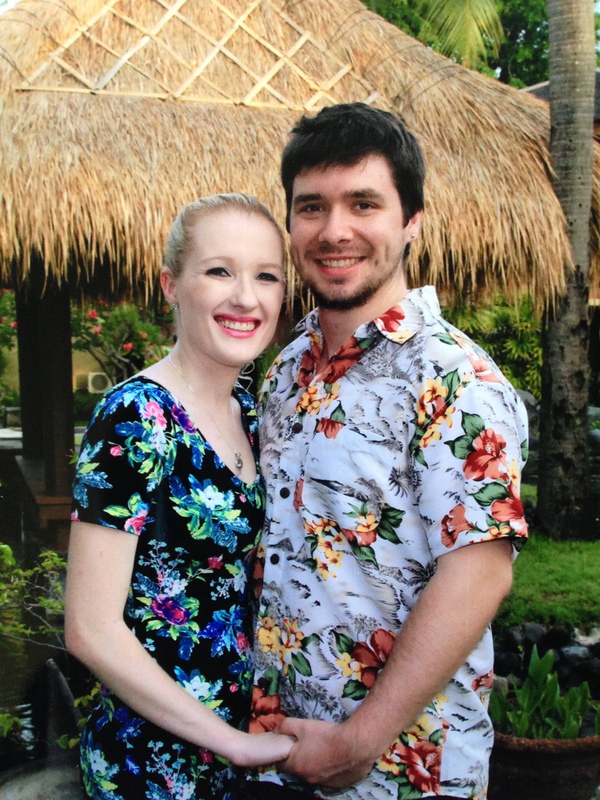 Nothing says ‘couple’ like matching floral in a tropical location. What’s your favourite piece of jewellery? Let me know in the comments! I like a lot the necklace, it’s so beautiful and original. And your outfit is so nice! Aww thanks Kayleigh! I always have this face before I eat food!! Gorgeous! I love that necklace and those shorts are fabulous! Thanks lovely! I’m going to have to try and make sure I wear other necklaces for some future outfit posts — I just wear it all the time!